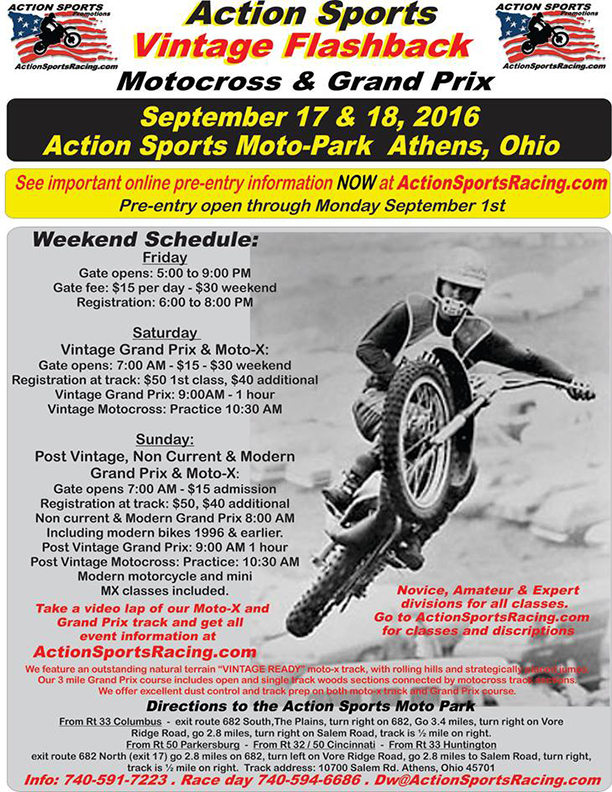 The 2016 Action Sports Flashback will return to the Action Sports Moto Park in Athens, Ohio on September 17th and 18th, 2016. We look forward to our Vintage Flashback weekend every year; it’s always fun working with such great people. Our two day format will include Vintage Grand Prix Saturday Morning, followed by Vintage Motocross, and we will finish out the day with modern vet, amateur, and youth motocross. We will run the exact same format on Sunday with Post Vintage Grand Prix, Motocross, and modern classes. Our old school National caliber MX track consists of rolling natural terrain with a few steep hills and a few small, safe, strategically placed jumps. 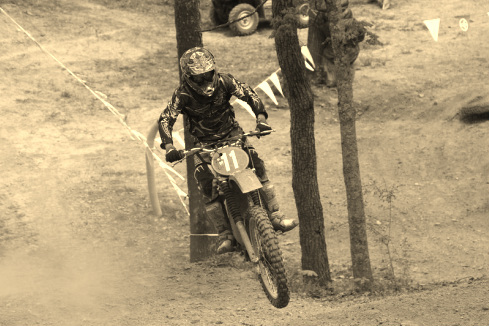 We have great dirt, track prep and dust control on our motocross track and our Cross Country course. We’re sure you’ll love it! Check back for updates and look through our website for all classes, times, fees, sponsors, directions etc. Take a video lap of the Cross Country course and our MX track on this website. Download a flier so you have all of the information and please make a copy to give to your friends. Come and join us for this great event!